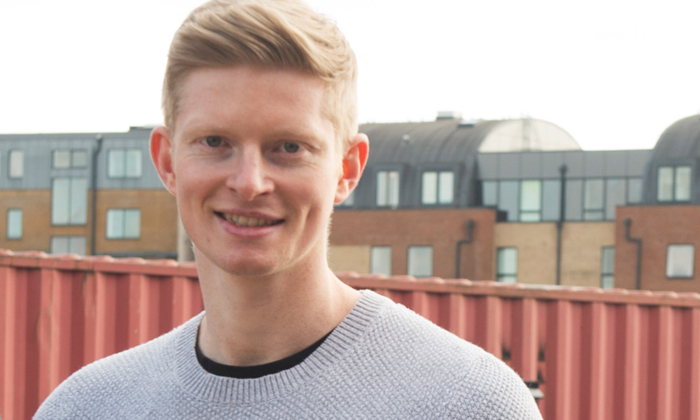 Luke Johnstone, co-founder of the world’s first frozen Smoothie Kits company PACK’D, shared his experiences of starting out and how they have found their way to success. Luke and Alex Stewart wanted to find a simple way of making a top quality low sugar smoothie with health and well-being benefits. In 2014 they started experimenting and developing products in their garden shed. They invented smoothie kits – sachets of frozen fruit, vegetable and superfoods, that can easily be added to any choice of liquid and blended. In their first full year trading they launched the kits in 1000 stores nationwide in places such as Sainsbury’s, Tesco, Ocado, Amazon Fresh, Planet Organic, Whole Foods and Costco and were voted ‘Best New Health & Wellness Product’​ at the World Food Innovation Awards. Last year they achieved a £1million profit, secured two heavy-weight investors and Luke was awarded the Amazon Young Entrepreneur of the Year and became a young ambassador for the Princes Trust. Pack’d have some exciting ideas in the pipeline this year. This event was part of the celebration of Global Entrepreneurship Week at UEA.